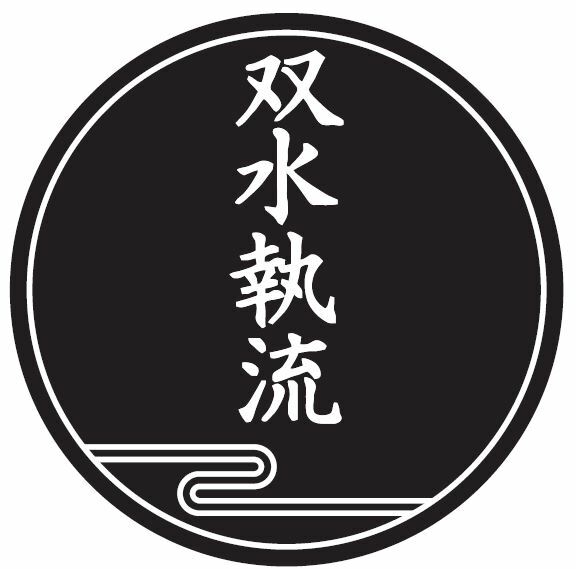 in 1868, Shitama Shingo Munetsuga, Sōsuishi-ryū’s 12th Inheritor, started Senbondori – the ‘thousand-point challenge’. It is a tradition designed to test the absolute physical and mental endurance of a challenger and is upheld by the SJJK and Sekiryūkan to this day. Those challenging must fight 1000 jūdō or jujutsu matches against a group of opponents, in a single day. It takes between 5 and 9 hours to complete. 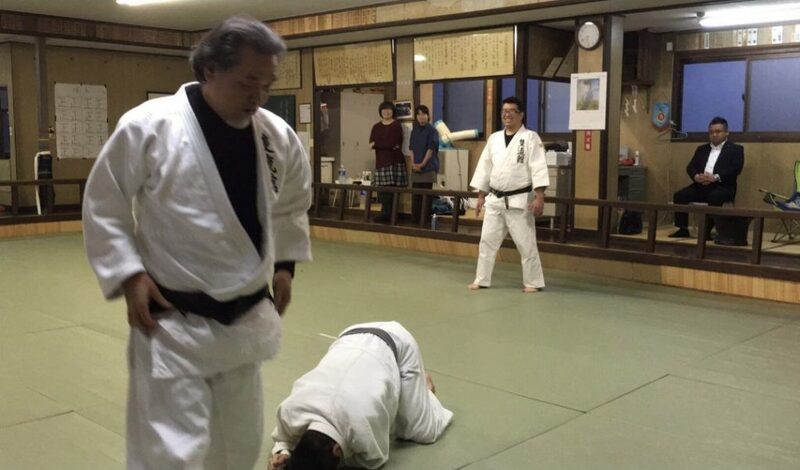 Dai-Shihan Shitama Manzo, Judo Roku-dan, on the mat and active in the Senbondori of 2018. By invitation, Senbondori is open to all SJJK members of black belt rank and is held every few years. Only a select number of people have successfully completed it. Senbondori is always presided over by the Sōsuishi-ryū Headmaster. It is normally conducted at Sekiryūkan in Fukuoka but has also been held at the NY Seibukan on occasion, since 2004. 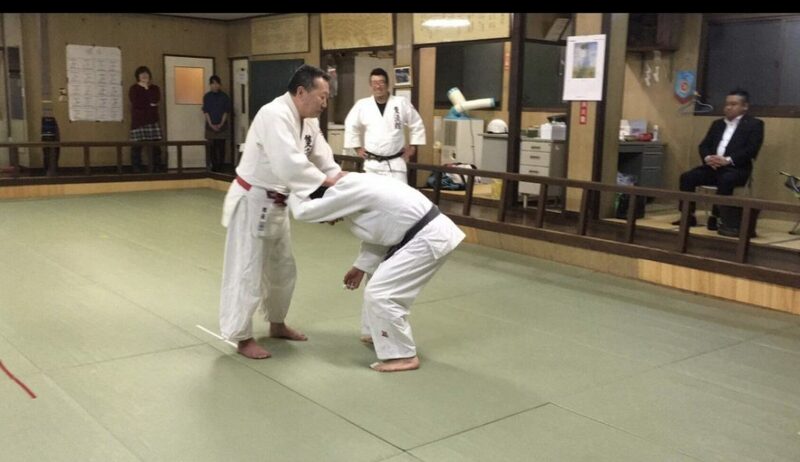 Kodama Sensei partnering Kazumichi-san during his 2018 Senbondori. 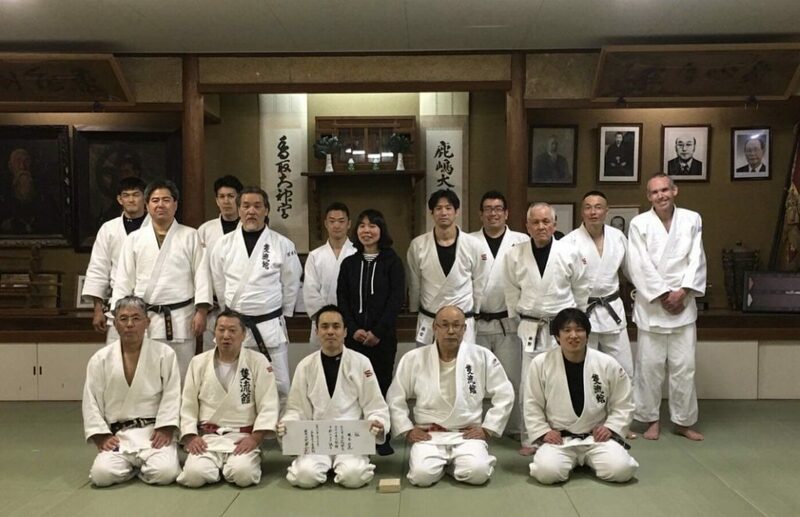 The collective at Sekiryukan that enabled Kazumichi-san to complete his Senbondori in March 2018.